The long-awaited episode of Yo Gabba Gabba! 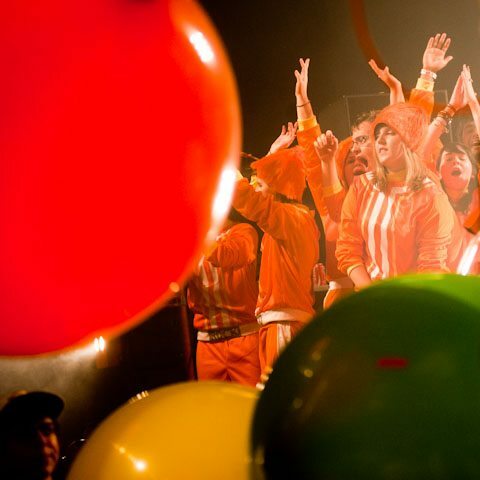 featuring The Flaming Lips will broadcast on November 5th… but you don’t have to wait that long: hear their Gabba-tastic performance of “I Can Be a Frog” in the video embedded above (starting at 1:02) and watch it streaming at music-mix.ew.com. 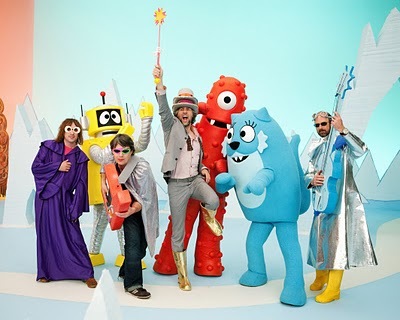 A rumor that The Flaming Lips would appear on Nick Jr. hip kid’s show Yo Gabba Gabba! popped up early-October 2009 (briefly mentioned in PsychExFutureHeart’s Oct 15, 2009 blog entry Yes Yes Yes: So Embryonic It’s All Right), but it wasn’t confirmed until the first week of January 2010 when a cropped photo of the band on the set by Ben Clark was printed in Rolling Stone #1096 (page 29). 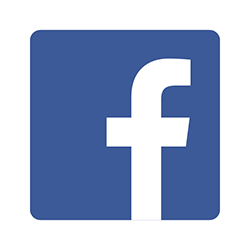 At first, text and image searches on Google, Bing, Yahoo and Altavista yielded nothing other than a post on this very blog you’re reading now. Then, on January 15, 2010, Clark posted his picture on his blog, uncropped (see it directly below) and with a brief explanation. From there it spread across countless culture, kids and music blogs and sites, creating a buzz for the show’s new season… except that when season 3 started on March 8th (with “Weird Al” Yankovic, Sarah Silverman and Mates of State) and continued throughout the spring (with Mos Def, Taking Back Sunday, Travis Barker and many more) The Flaming Lips’ episode never showed. 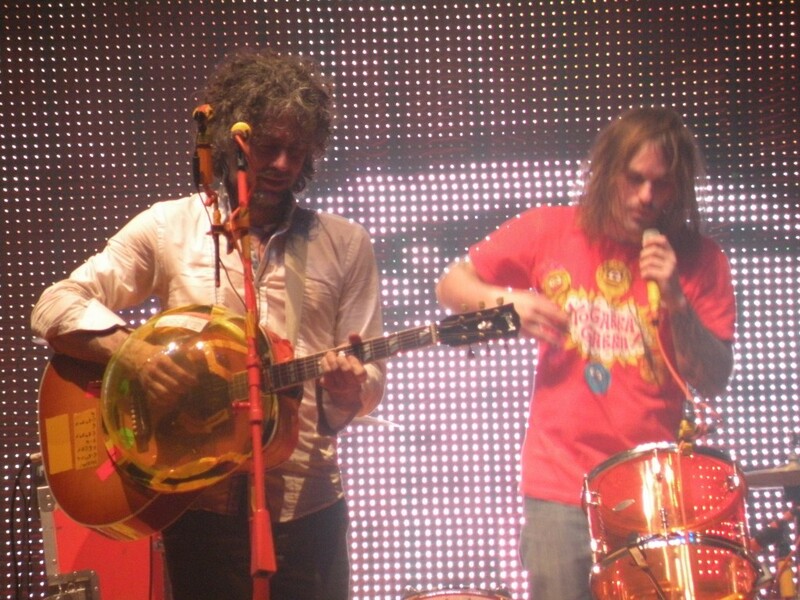 In the meantime, the Flaming Lips played “I Can Be a Frog” – the song that they had filmed for Yo Gabba Gabba! – everywhere. It became a bit of light relief at their increasingly heavy shows, with Kliph demonstrating the call and response sounds to the audience… Wayne Coyne played it backstage at the Nateva festival for the Ice Cream Man… they even played it in a taxi for The Black Cab Sessions with the driver making the sound effects! They were speculated to play it on The Late Show with David Letterman as well – with Karen O who does the “sounds” on the album version (though as it turns out, they instead frightened Dave with “See the Leaves”, without Karen). Now, a year after the rumours first surfaced and almost eleven months since being confirmed, that episode (presumably filmed October 2009) is finally set. It was announced on October 25, 2010 that a new fairytale-themed episode of Yo Gabba Gabba! 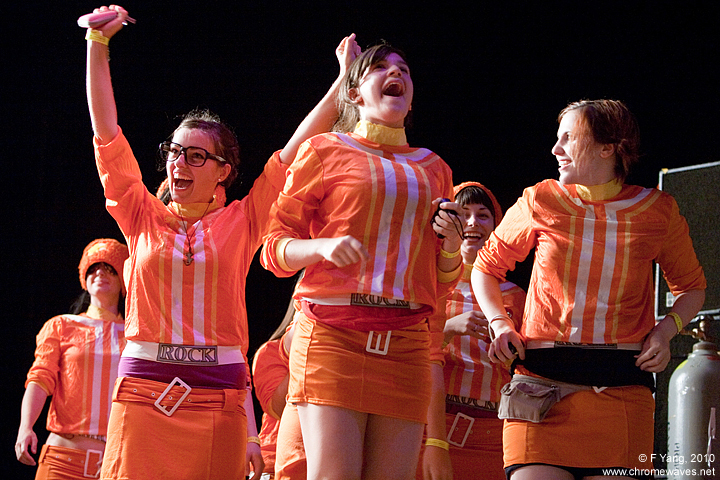 is scheduled to air on November 5, 2010 at 11:30 AM featuring The Flaming Lips, Jack McBrayer from 30 Rock and Paul Scheer. 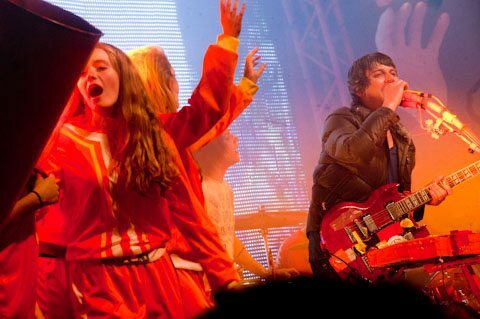 It’s not the first time The Flaming Lips have played for the younger set. For 2004’s SpongeBob SquarePants Movie they wrote and performed “SpongeBob and Patrick Confront The Psychic Wall of Energy” (how’s that for a song-title!) and for the slightly older set, they contributed “The Supreme Being Teaches Spider-Man How To Be In Love” (wow, another awesome title!) to 2008’s Spiderman 3 soundtrack. Similarly, Lips’ musical-mastermind Steven Drozd and Steve Burns – of Blue’s Clues fame – wrote and played “I Hog the Ground” (it was that time of the year – Groundhog’s Day – watch it here) for another Nick Jr. program, Jack’s Big Music Show (on February 2, 2007 – the same episode that had Jon Stewart guest!). Drozd and Burns – calling themselves Steve-N-SteveN – have worked on a children’s album as well. 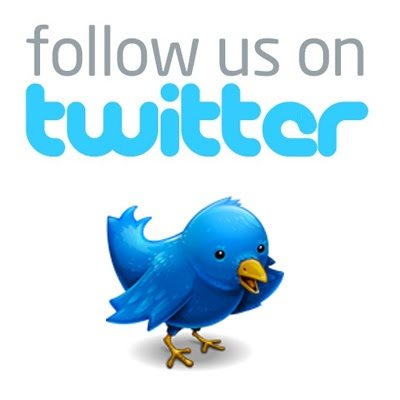 Bookmark this blog and follow twitter.com/FutureHeartDay for much more on these projects and other children’s music for kids of all ages to be posted next week anticipating November 5th’s Yo Gabba Gabba!!! 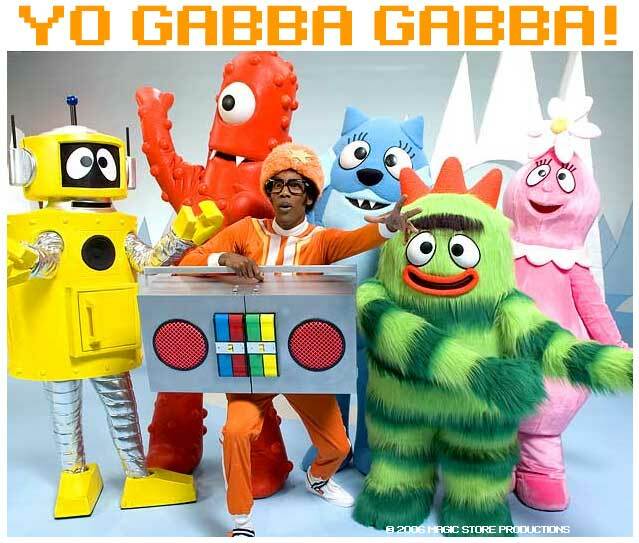 Since the start of its first season in August 2007 Yo Gabba Gabba! has garnered a reputation for having some of the most amusing music segments on television… not just for youngins, but for kids of all ages: Biz Markie and Devo’s Mark Mothersbaugh have regular segments on the show; animation sequences have used music by Low, Jason Lytle (formerly of Grandaddy), Enon, Of Montreal, The Bird and the Bee and The Apples in Stereo; and previous guests include The Shins, Elijah Wood, Jack Black, Cornelius, The Ting Tings, Mates Of State, The Roots and MGMT. 2010, Ben Clark, Coachella, Dave Grohl, Devo, DJ Lance Rock, Dr. Dog, Flaming Lips, Grizzly Bear, I Can Be a Frog, Kliph, LCD Soundsystem, Mates of State, Of Montreal, Sarah Silverman, SpongeBob Square Pants, Steve Burns, teletubbies, Vampire Weekend, Wayne Coyne, Yo Gabba Gabba!